Coming to the automobile shows, it is that part of the year when almost all the companies showcase their capabilities with new car launches, concept cars and what not in a bid to establish their supremacy over their counterparts. Today we have a news for you from the recently concluded Sao Paulo Motor show. Ford, the name we all know because of the great products their cars are, showcased some of what they had in armoury at the motor show. Amidst all the companies showcasing concept cars and what not, Ford Brazil focused mainly on telling people as to what would come their way by showcasing production variants which would hit the showrooms soon. The company showcased the facelifted Fiesta and the mini SUV Ford EcoSport‘s two new variants. EcoSport has been the talk of the town with an impending Indian launch and a lot of spy-shots flooding the interweb. When it is launched, it is going to be pitted against the Renault Duster and Ford are leaving no stone unturned to de-throne the Renault Duster. 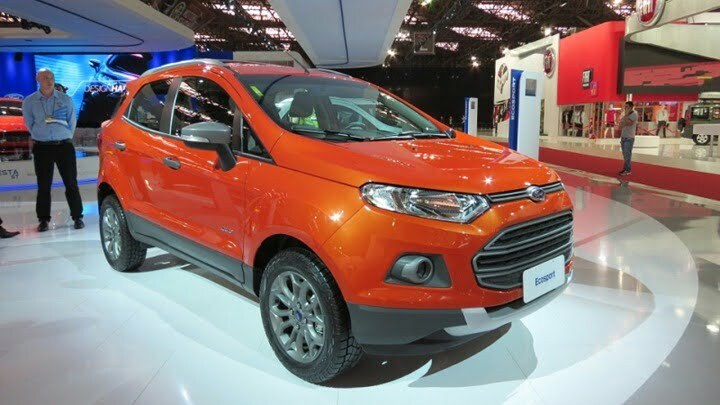 Ford EcoSport will be priced very competitively, possibly undercutting the Duster as it is going to be a sub-4 metro SUV. This makes it an all the more interesting launch for India. Pricing and variants at different price points is what is going to help the EcoSport succeed in India. We are sure about the base variants being very basic to have a competitive price. 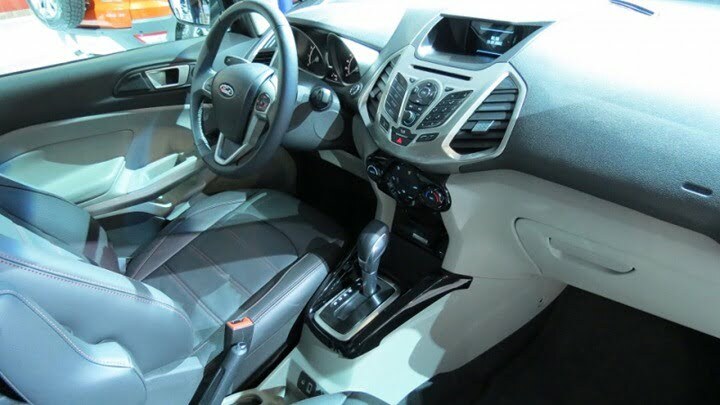 On the other hand, Ford showcased two more top of the line variants for their compact SUV. 4WD and Powershift (dual clutch, automatic transmission) variants are the two variants . The latter will feature the same automatic gearbox as the Fiesta and will be offered on the top end models. Coming to the 4WD variant (you know what a 4 WD is, right?). Ford EcoSport brings to the table an urban SUV which does its commuter work easily without a hiccup. But there are the ones who will take their cars just anywhere so the car needs to be capable of being driven over almost every terrain. To cater to their needs, the 4WD model will also be offered, mainly as a top model loaded with all the bells and whistles. Ford plans to launch the compact SUV sometime early next year. It is going to be launched in Nepal in March 2013 and the Indian launch will happen surely before that. When it will come to India, it will come with engine options- turbocharged petrol and turbocharged diesel. However , a way more powerful 2.0-litre 16V flex fuel Duratec engine will power the two models in Brazil, amongst the first markets to get the SUV. The two new variants which have been showcased are driven by petrol. A top of the line petrol variant may not find many takers in India. We can safely expect Ford to bring in the two variants at a later stage, depending upon as to how does the Indian market perceives it. And do we need to mention that the 4WD version better comes in a diesel guise. Who buys petrol SUVs?